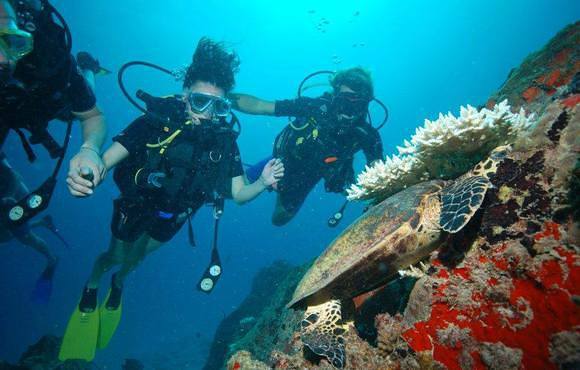 Snorkeling (fins, masks, snorkels), kayaking and bottom-line fishing equipment free of charge. 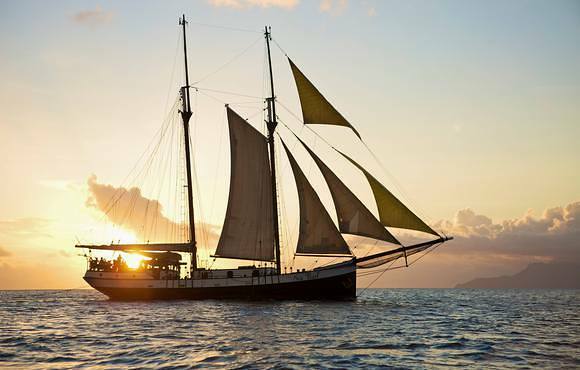 Dive amidst ancient granite pillars and shoals of tropical fish on a liveaboard trip on the traditional Dutch schooner: SV Sea Pearl, as hey makes her way across a dozen of Seychelles' islands and islets. 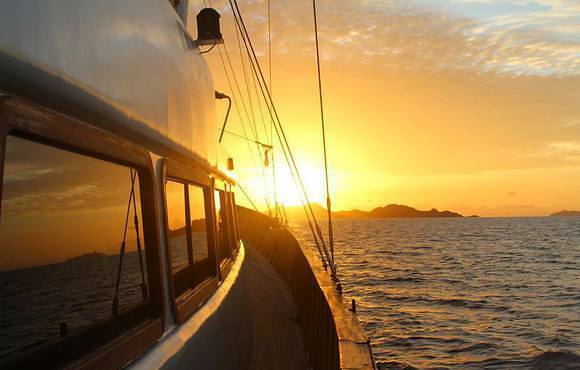 This 7-night liveaboard cruise combines the underwater world of the world's only granitic mid-ocean islands with a PADI dive instructor as your guide, together with the rustic charms of a historic early 1900s vessel that doubles as a full-service floating hotel. 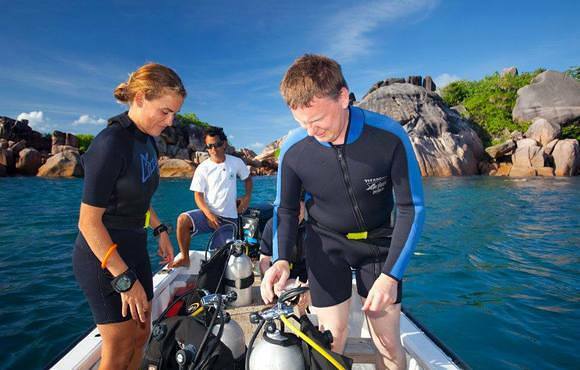 The guided scuba dives will be scheduled on board to fit your needs and schedule. Disembark on Praslin, Seychelles' second-largest inhabited island, for a visit to the famous World Heritage Site, the Vallee de Mai Nature Reserve. Explore the valley's eerie pathways beneath its canopy of massive palms, before returning onboard for afternoon opportunities to dive, snorkel or enjoy other water sports. Day 2: A morning sail brings the vessel to La Digue, a sleepy island community where ox-carts and bicycles still remain the most common mode of transportation throughout the island. Day 3: Explore the entire island by bicycle, perhaps stopping by Union Estate, a sprawling network of traditional island activities, including a copra mill, vanilla plantation, and shipyard. A morning sail brings the vessel to La Digue, a sleepy island community where ox-carts and bicycles still remain the most common mode of transportation throughout the island. 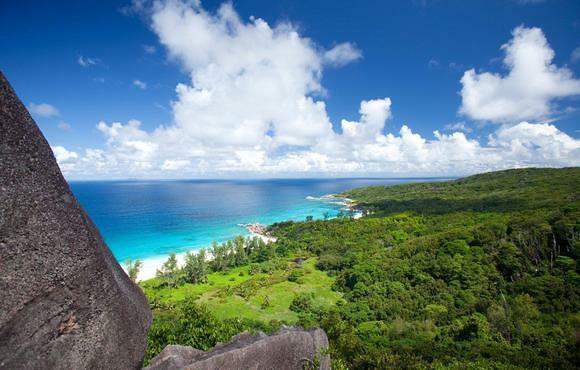 La Digue is home to the endemic Seychelles Paradise Flycatcher, and is perhaps most famous for its massive granite boulder formations at Anse Source d'Argent, which is thought to be the most photographed beach on earth. Explore the entire island by bicycle, perhaps stopping by Union Estate, a sprawling network of traditional island activities, including a copra mill, vanilla plantation, and shipyard. 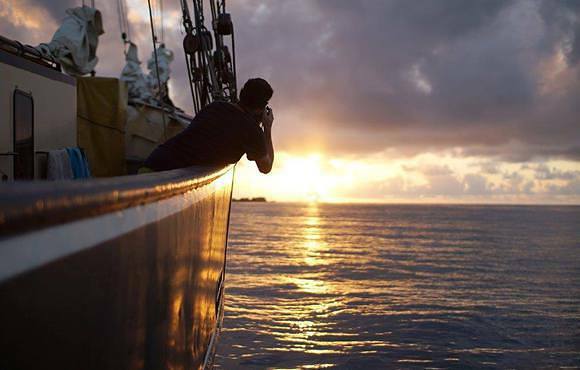 Day 4: In the morning the vessel sails toward Grande Soeur and Petite Soeur (the Sisters) for excellent snorkelling and diving, and for a relaxing visit of these unique and completely uninhabited tropical islands. 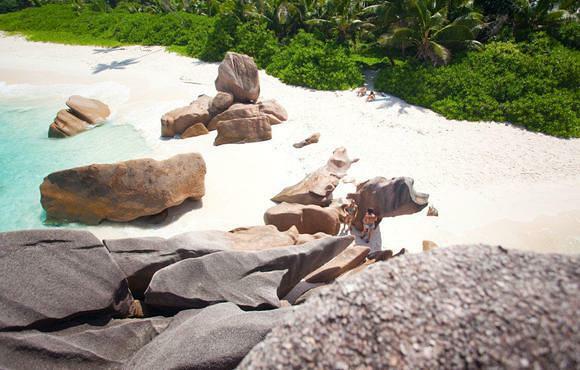 In the afternoon, visit Coco Island, one of Seychelles’ tiny granite jewels, a fantastic spot for snorkelling within a kaleidoscope of tropical fish. 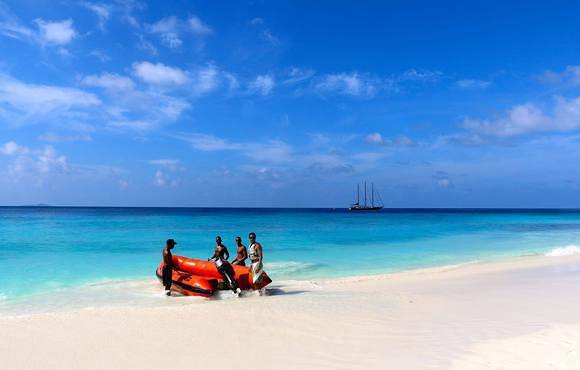 Day 5: Sail to Booby Island for a morning of diving and water sports. 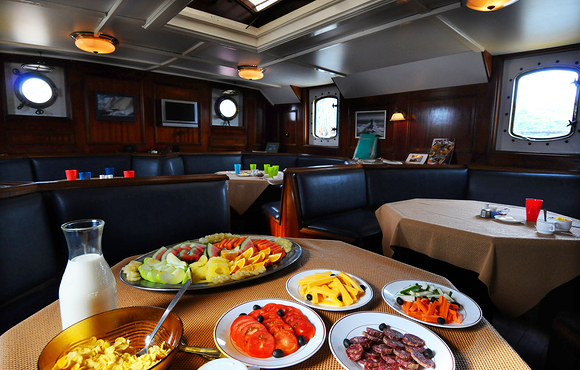 After lunch, sail to Aride Island, a globally important nature reserve with more native bird species than any other island, including five endemics and the world's largest population of 3 species (Lesser Noddy, Audubon's Shearwater and Seychelles Warbler). 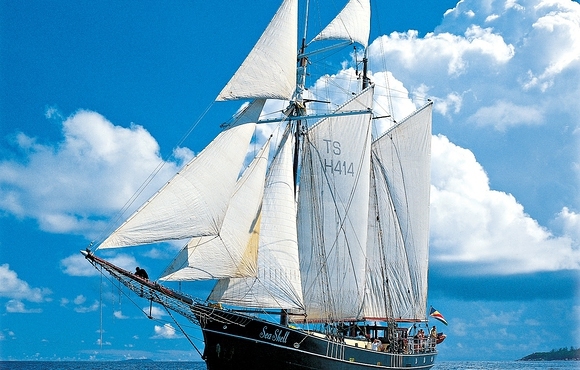 The nature trail leads to a spectacular cliff-top view with the largest frigatebird roost outside of Aldabra. 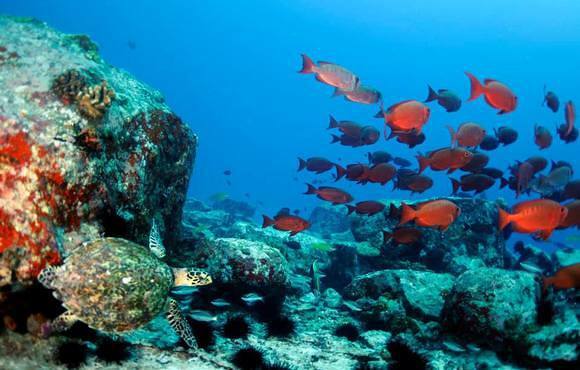 Aride is the only natural location in the world for Wright's Gardenia and 400 species of fish have been recorded around the island. Day 7: In the morning disembark at Curieuse for a visit of this virtually uninhabited island. Experience the island's vast mangrove forests and its giant tortoise farm, along with the historic ruins of this former leper colony. 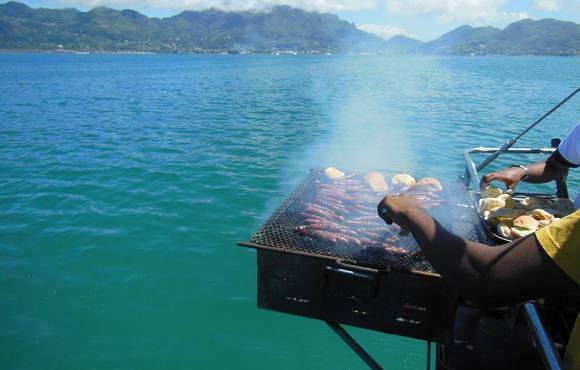 After a barbecue lunch on the island, enjoy an array of water sports or simply relax and enjoy the island's beautiful beach and turquoise waters. Day 8: Disembarkation at the Inter-Island Quay at 08.30hrs. Price is per person, based on double occupancy and valid for travel in 2015. Cruise requires a minimum of 6 passengers to go ahead. 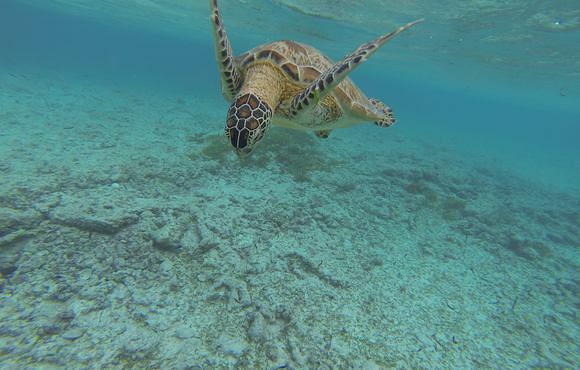 All extras onboard are excluding 15% Seychelles government tax/Vat except for conservation fee. The Conservation Fee is payable in cash on arrival. 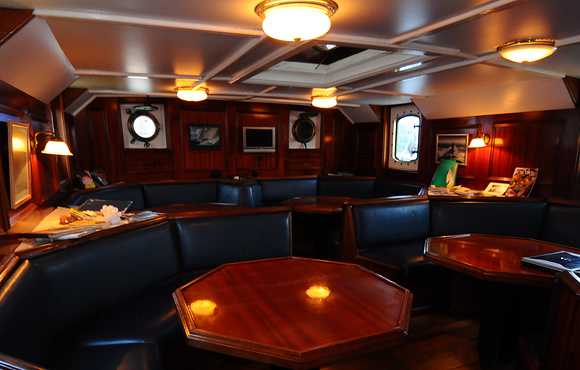 All other extras such as beverages & diving are payable onboard to the captain, with cash or Visa/Mastercard. Single Supplement - 50% on top of cruise rate. Single Supplement will be waived for any cabin if single guest is willing to share cabin. 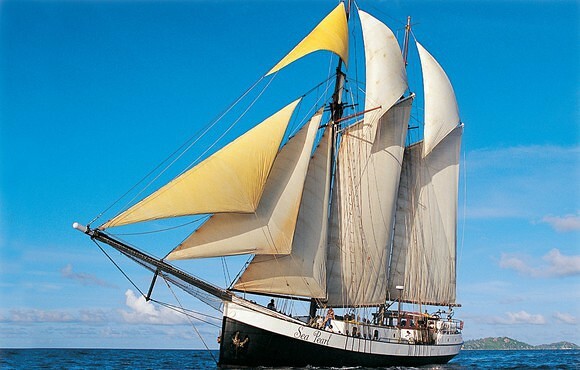 Silhouette Cruises, Seychelles no.1 sailing charter company offers weekly cruises, special dive-safaris. 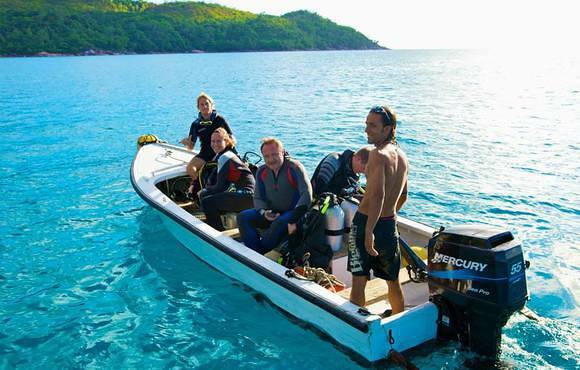 Our vessels are PADI Dive Resorts, with on-board dive instructor.